Diners in Williamsburg Brooklyn who are in search of an oasis aside from McCarren park have a chill, new hideaway to call home. Pearl’s Bake and Shark, tucked away on North 8th street serves up authentic Caribbean cuisine, excellent tunes and refreshing, tropical drinks in a bright space with a bumpin’ back yard. Fill up on generous portions of Roti [$13-17], a delicious curry stew enveloped in a delicate and flakey wrap (available with vegetable, chicken or shrimp) or try a classic Caribbean-style sandwich called a Bake [$8-12], which comes with a variety of fillings including chickpeas, shark, jerk chicken or spicy, Geera pork. Classic big plates of Curry Goat, Braised Oxtail and Jerk Fish are also a staple at Pearl’s [larger plates start at $18]. 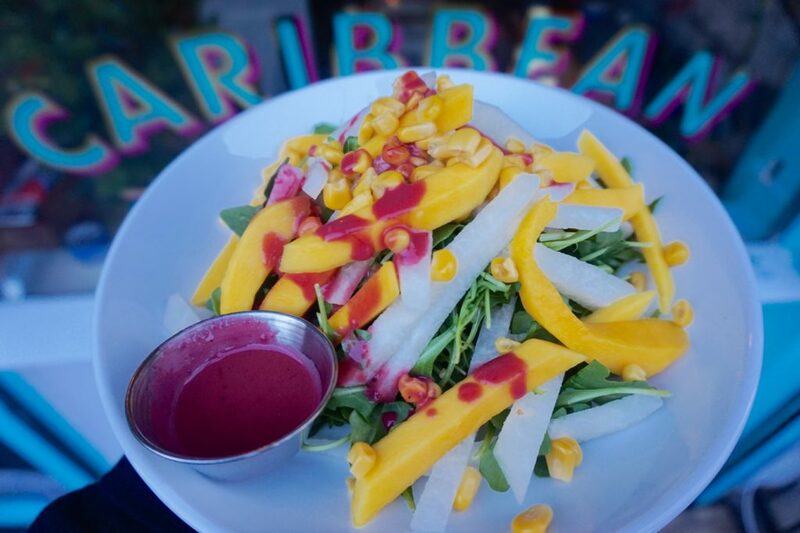 Pearl’s is owned by Trinidadian former model, Fallon Seymour, who was inspired to bring her Grandmother Pearl’s home cooking to share with the Williamsburg community. Cheers, Pearl!